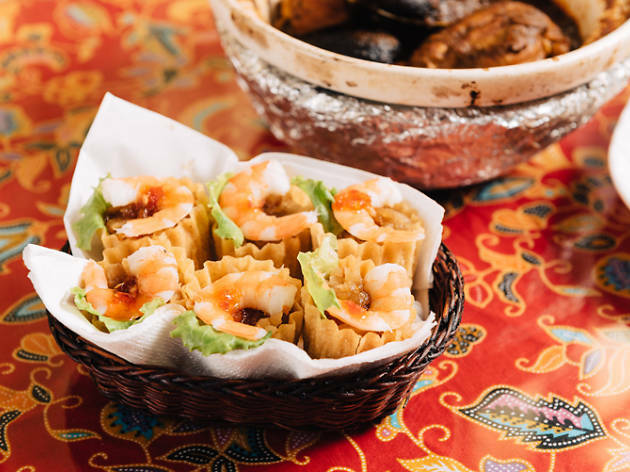 There’s no denying you’ve stepped into a Peranakan Restaurant when you enter Chilli Padi. 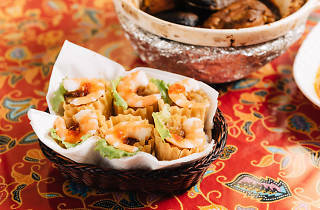 Red batik cloth drapes over the tables, a framed kebaya hangs on the wall and the restaurant is even located in a heritage shophouse from the pre-war era. 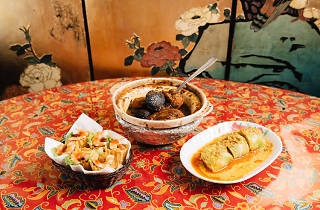 Awards and media accolades line the walls beside colourful Peranakan art, enticing you to order more than you can manage, because you know you’ll be getting the legit stuff. Some of the tables come with a Lazy Susan, so no one will have to stretch to reach that claypot filled with ayam buah keluak. Whether it’s to entertain friends from out of town or an inter-generational gathering, Chilli Padi is definitely a top pick for a cosy gathering. It won’t be a proper Peranakan meal without ayam buah keluak ($12.80/$17.80) at the table. 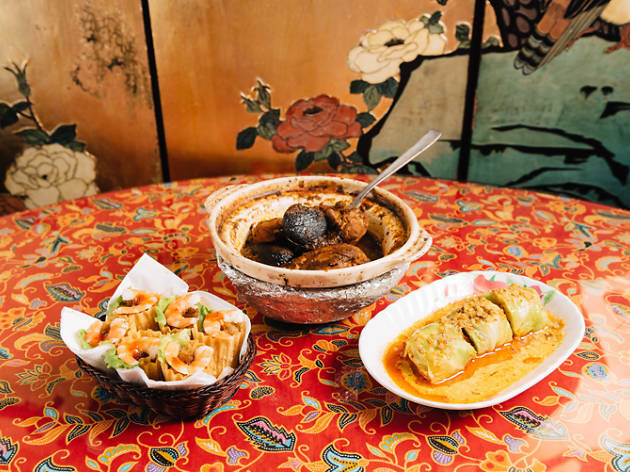 Chilli Padi’s rendition comes the closest to what you’ll find in the home of a Nyonya grandmother, with generous chunks of chicken and whole kernels of buah keluak that have been conveniently cut to fit the length of your fork. 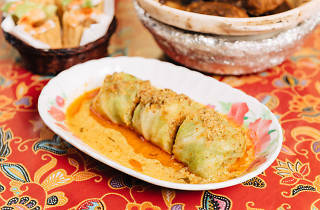 Another must-have is the cabbage roll ($5). 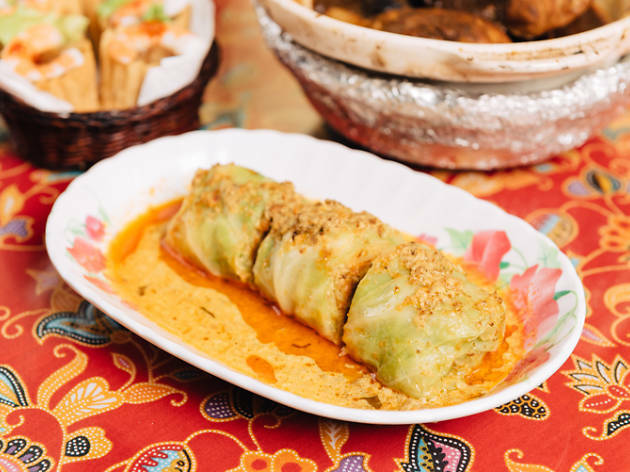 Homemade otah is wrapped in Chinese cabbage and then steamed before it’s covered in a rich and spicy coconut curry.